CONCEPT: Ask any single mother: Raising a teenage daughter is tough. On top of the fights about boys and homework, theyre always borrowing your favorite stuff...your make-up, your shoes, your mask. THIS ISSUE: For years, Rebecca Reed, a.k.a. 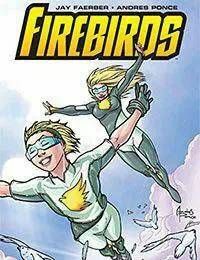 Firebird, kept her secret identity from her teenage daughter, whom she hid at a boarding school, far from her enemies. But now the secrets out, Emily Reed knows her mothers a superhero, and Emily herself possesses superpowers. Staying at the boarding school would only complicate things, so Rebecca brings Emily back home. Now, while Emily learns how to be a superhero, Rebecca learns how to be a mother.